Pablo Picasso’s father, Don Jose Ruiz was an art teacher and painter who was so impressed with his son’s work that he laid down his brushes. Don Jose said that he was abandoning his own art because his son had more talent than he had. When he was in his teens, Pablo Picasso’s style echoed the work of other French artists like Toulouse-Lautrec, Gauguin, and Monet. As an adult, he developed his own styles (The Blue Period, The Rose Period, Cubism, Surrealism) for which he is now known. Just Behave, Pablo Picasso! by Jonah Winter, illustrated by Kevin Hawkes (Scholastic, 2012) shares events about the famous artist from his childhood through his twenties. 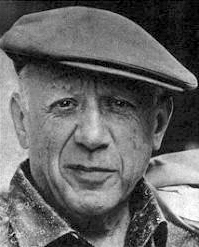 Despite harsh criticism, Picasso persevered to perfect his own style in paintings, drawings, prints, and sculptures. Tony Penrose grew up with Pablo Picasso as a family friend. His father, Sir Roland Penrose was an artist who often visited back and forth with Picasso. In The Boy Who Bit Picasso (Abrams, 2010), Tony shares his childhood memories of this remarkable artist. 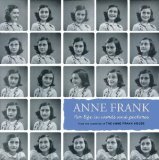 He includes photographs taken of Picasso by his mother, the famous photographer Lee Mill. Penrose also includes images of drawings that Picasso made especially for him. Other books in our collection about this genius include Picasso: A Day in His Studio by Veronique Antoine (Chelsea House, 1993) and Picasso by Mike Venezia (Children’s Press, 1988). 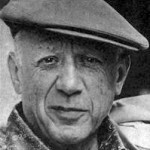 Photo of Pablo Picasso taken from Wikipedia.org. 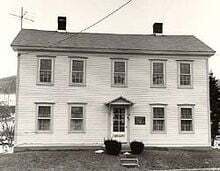 Having grown up in North Adams, I was always fascinated when my family drove past the house on East St. in Adams, MA where Susan B. Anthony was born. It was inspiring to me to think that a woman who was born in my area of western Massachusetts went on to be such a leader in the women’s suffrage movement in the 1800s. In 1826, Susan B. Anthony’s family moved to the state of New York so that Susan’s father could manage a factory that manufactured cotton. That is where Susan grew up and became a life-long reformer. Even as a young girl, she identified injustices. The first was when a male teacher refused to teach the girls in his class mathematics because he believed that certain school subjects were too hard for a girl to learn. In her early career, Susan became a teacher herself. After a few years, Susan left her teaching job so that she could speak to many people about women’s rights. Susan B. Anthony by Alexandra Wallner (Holiday House, 2012) is a picture book biography that introduces this interesting woman to younger children. Elizabeth Cady Stanton and Susan B. Anthony: A Friendship That Changed the World by Penny Colman (Henry Holt, 2011) is a biography for our mature readers. On August 28, 1963, more than a quarter of a million people gathered on the National Mall in Washington, D.C. Adults and children of every color and nationality stood around the reflecting pool, and they listened to a group of civil rights leaders who spoke of equality for all in America. Those who were present and the millions who watched the event on television or listened to it on the radio were treated to a 17 minute speech by Martin Luther King, Jr. His speech that day later became known as his “I Have a Dream” speech. Kadir Nelson is a noted African-American artist whose work can be seen in many collections like that of the United States House of Representatives and the Baseball Hall of Fame. He has worked on films and television. 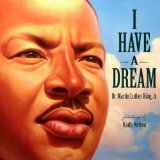 Nelson’s art in children’s books has earned him numerous honors, and his illustrations in “I Have a Dream” bring Martin Luther King, Jr.’s words to life. One of the most striking images in the book is that of King standing in front of the statue of Abraham Lincoln. Flowers, skulls, and desert images are most often the images that one associates with Georgia O’Keeffe. We usually think of the Southwest as the inspiration for much of her work. In 1939, this gifted artist traveled to Hawaii when the Hawaiian Pineapple Company sponsored her to create two new paintings for them. The company wanted a painting of a pineapple, but Georgia didn’t like being told what to paint. She was inspired by the flora and fauna of the Hawaiian Islands, and she painted nearly twenty works while she was there. The Hawaiian Pineapple Company expressed unhappiness because Georgia gave them paintings of a heliconia flower and a papaya tree. She later capitulated and sent them a painting of a pineapple because she realized that the trip they sponsored had been a rare gift. Georgia in Hawaii: When Georgia O’Keeffe Painted What She Pleased by Amy Novesky, illustrated by Yuyi Morales (Harcourt Children’s Books, 2012) is a beautiful picture book biography that chronicles this special time in O’Keeffe’s life. As I was riding to work, I heard an interview on NPR with Michael Sims, the author of The Story of Charlotte’s Web. The subtitle of Sims book describes his research well: E. B. White’s Eccentric Life in Nature and the Birth of an American Classic. Adults who enjoy reading literary criticism might want to check out this book. …Or, go to NPR to listen to or read the interview. Just be sure to share Charlotte’s Web with a child. Don’t assume that they have read it. There aren’t many opening lines that can compete with the one with which White started his story. This short clip is from a silent film that shows some of the blasting of the work and the construction of Mount Rushore.